The graph of Malayalam Cinema has been on its steep slide down for a good while now. Off screen verbal duels, dogfights, real-life quotation gang action on sets, shooting blocks and bans, even car-bombs! No to mention the Himalayan heap of films which bombed at the box-office, including that of the Almighties. The only streak of light is from a lone star who could potentially reverse the heading of ailing malluland film industry- Prithviraj. Let's face it: our film industry still is in tantrum toddler-hood. It dances to the strings of nothing more than a handful of individuals. The tried and tested approach of production houses finalising a script, deciding on the technical staff and cast and then thinking about the reels is still not the path we trod here. Mainstream commercial cinema starts at the two big Ms, proceed towards storyline, script and such insignificances, pass through filming formalities and dish out pure atrocities as end products. What has Prithviraj Sukumaran in him which has captured the average malayalee's attention? Surely he doesn't have that innocent lovable naughtiness of yesteryear Mohanlal or the high and mighty roles portrayed superbly by Mammootty. Prithviraj is also living in a Kerala long abandoned by Padmarajan, Lohitadas and Bharathan, legends who moulded those senile superstars into what they are today. Neither has he been long enough in the industry, with his first movie out in 2002, nor yet given life to even a couple unforgettable characters on celluloid. You cannot just dance and sing into the Malayalee ventricles, like the new young Kapoors and Khans do up North, we yearn(ed) for genuine quality stuff. Well that's how it was until a good few years back. So what is the charisma, his USP? I'll speak for myself. I saw all his initial releases with a friend of mine in college, who happened to be a classmate and buddy of Prithviraj in Sainik School, Trivandrum. 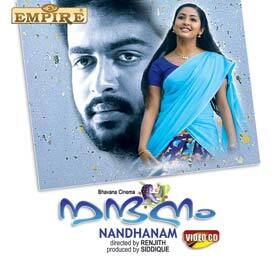 Nandanam was outright impressive, while he was the lone relief in a badly made Stop Violence. And then Prithvi received a long 'casting-spell' from nemesis Vinayan which forced us all to stay away from the screens. Sure, Prithviraj had a Godfather to introduce cinema to him. It isn't just an accident that the son of the sturdy rascal Sukumaran ended up in silverscreen. The Sukumaran factor surely helped Prithvi, but it was the chromosomal grit and improvidence that helped him take the elevator into Keralite's hearts, not an easy thing to do. Or is it because of his this rebellious character, so easily identifiable in socialist Kerala? Prithvi had no strings attached to take on anyone who crossed his path, a trait which appeared to have endangered his whole career for a while. Another aspect could well be the depreciating quality of audience, which don't need an audition to create instant celebrities, courtesy the reality shows and stuff. If Malayalees can bestow the Superstar badge to Prithvi who hasn't yet played a Sethumadhavan, Chathiyan Chandu, Vincent Gomez or Bharatchandran IPS then there could be one glaring reason. We have that bar lowered too far down. Not being mean or discreditive to the young actor but just pointing out a fact. In his Filmography spanning over 50 films, the characters in Nandanam & Vaasthavam are the only ones worth mentioning. On an encouraging note, we see the rise of Prithvi as a sign that we're at last willing to displace the two home-trees, who've been consistantly accused of draining the sand from under our industry...They ALL can't be bitching, Sreenivasan the latest to join the long anti-superstar bandwagon. Whatever be the reason, Malayalam film world desperately needs younger, stronger shoulders to carry it forward. Its about time Prithviraj or Vineeth Sreenivasan or Narain or Anoop Menon stepped in and the industry exhibits the courage to propel them. And God forbid, let's not let them go like we did with Vikram. One good thing about Prithvi is that the man is as confident in himself as one could see. Hardly the adjective we could attribute to present day stars, Mohanlal especially. Prithvi is one guy who has lived upto the hype created around him. One snapshot of his career and its already inspiring! Keralaites are already willing to reciprocate the confidence Prithviraj has in them. Prithviraj movies open the same way as the Superstar ones but more importantly the collection figures do not come crashing down like the WTC from second day on. And the man knows what he is saying and doing, may be attributed to the education from pretty much reputed institutions. Sainik School, Kazhakkuttam seems to have fine tuned the ingrained determination and veracity and the stint at University of Tasmania sure has changed his perspective of the world. But Prithvi's biggest help might have come from the oldest institution in the world: the family. Critics have taken note; they've been generous and ruthless. 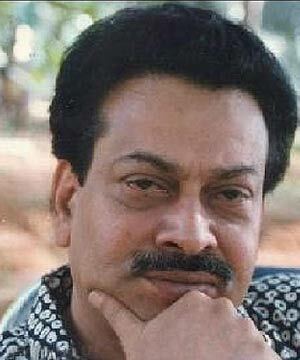 The Thilakan comment was a surprise, and those kind words shook many including Prithvi. Even Sukumar Azheekode had a thing or two to say about the man, good things mind you, for a change! Do I need to say anything more? Saying all these, there is one glaring misfortune for the man...The misfortune to be born in our times, when scripts and characters with heart and soul arrive like rain in Atacama. We're subjected to a Thanthonni or a Pokkiriraja more often than a Vaastavam. Not Prithvi's fault entirely but I'm hopeful that a Red Chillies or an Angel John won't ever happen with him. Prithvi appears to be knowing exactly what path he needs to trod in the film industry. This series of interviews on Manorama Television caught my attention, not just because of the style and control in which the man speaks but also in having a vision for the future and how to select his movies. Keralites must be thankful to Prithviraj for NOT lending his face and voice to all offered rubbishes, like our Superstar Mohanlal continuously does. We have developed sore throats shouting at Lal to avoid disasters like Alexander the Great but incredibly even after 3 decades of filmi-experience Lal fails to distinguish the chaff from the grains. Prithvi, even at this inexperienced juncture, exhibits that judiciousness more consistently, we've to give him that. Hard work and exuberant self-confidence has resulted in him crossing the barriers of language, and region. To work in a central role alongside Abhishek Bacchan, Vikram and paired opposite Mrs. Rai! WOW! We can forgive Prithvi for becoming a touch too excited here; for not being the clam, composed man we know. This, from the world premiere of Raavan at London, amongst the bigwigs of Indian Cinema! The boy from our neighbourhood has come of age! Yo! Not just acting, Prithviraj has tried out his vocalistic abilities as well, with a fair bit of success. The kaane kaane (Puthiya Mugham) and kaattu paranjathum (Thanthonni) have been chart-toppers. Perhaps Prithviraj is the break our industry needed, someone who could take our movies well beyond Parassala and Walayar, whose face and name personifies the rise of our cinema. No, he won't take us back to our 'golden years' but he has only just started, not a legend by any means. He is no saviour but could well be the one to defibrillate Malayalam cinema. Whatever be the reason, Malayalam film arena needs Prithviraj and a few more like him who can pull the crowds back to the Talkies. Only hope is that he won't take a leaf out of his predecessors and force the industry to project a one-man-show. Time will tell.